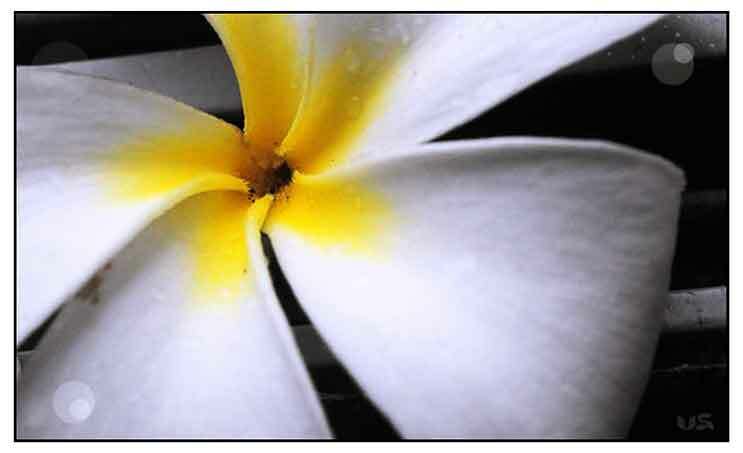 Plumeria acuminata W. T. Ait. CHINESE: Dan ji hua, Ya jiao mu, Hong ji dan hua. INDIA: Pandhra chapha, Perungalli (Tamil). Kalachuche is a small, deciduous tree, 3 to 7 meters high, with a crooked trunk, smooth and shining stems, succulent, with abundant sticky, milky latex. Bark has a smooth, papery outer layer which is grey, shining, and constantly exfoliating in small flakes. Wood is yellowish-white and soft. Branches are thick, fleshy, swollen and leafy at the tips. Leaves are crowded at the terminal end of the branch, commonly oblong in shape, 20 to 40 centimeters long, 7 centimeters wide, spirally arranged at the ends of the branches. Flowers are numerous, fragrant and large, the upper portion whitish, while the inner lower portion yellow, 5 to 6 centimeters long. Fruits are linear-oblong or ellipsoid follicles, with a pointed tip, 15 to 20 centimeters long, 1.5 to 2 centimeters in diameters. Seeds are numerous and winged. - Usually cultivated for ornamental purposes. - Introduced from Mexico by the Spaniards. - Flowers suppose to be source of perfume known as "Frangipiani." - Bark contains a bitter glucoside, plumierid (2%). - Latex contains resins, caoutchouc and calcium salts of plumieric acid: cerotinic acid and lupeol. 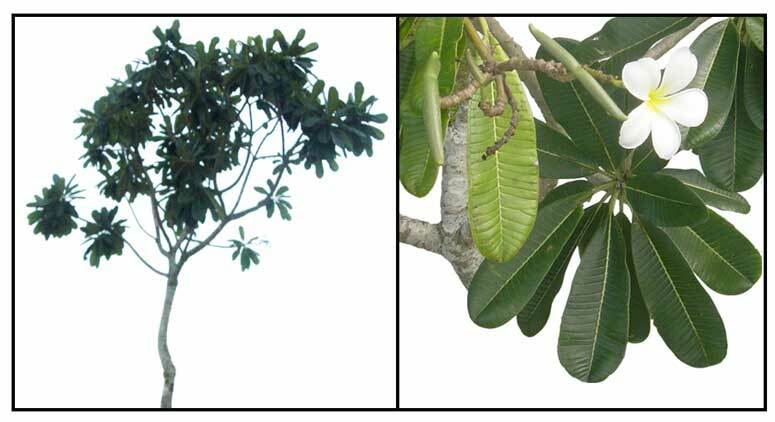 - Leaves contain a volatile oil. - Phytochemical screening of methanol extract yielded steroids, flavanoids, tannins, alkaloids, and glycosides. - Powdered leaf yielded alkaloids, cyanogenic glycosides, phenolic compounds, flavonoids, terpenoids, tannins, and saponins. - Sweet tasting and neither warming nor cooling in effect, aromatic. - Considered antiinflammatory, antipyretic, diuretic, emmenagogue, febrifuge, purgative, rubefacient. · Decoction of bark is used as purgative, emmenagogue, and febrifuge. Latex is similarly employed. · Preventive for heat stroke: the material may be taken as a cooling tea. · Root-bark taken internally as a strong purgative. · Root-bark used as abortifacient. · Root bark used as remedy for gonorrhea and venereal sores. · Bark decoction used as antiherpetic. · Used in treatment of ulcers, herpes, scabies. · Bruised bark use as plaster over hard tumors. · In India, bark used as purgative. Bark also used as application for abscesses. · In Java and Madera, bark decoction used for gonorrhea, dropsy, and dysuria due to venereal disease. · In Yucatan, latex is used for toothache. · In Persia, bark is employed against blenorrhagia. · For dysentery, diarrhea during summer season: use 12 to 24 gms of dried material in decoction. · Arthritis, rheumatism, pruritic skin lesions: Mix the latex (sap) with coconut oil, warm, and apply to affected area. · Decoction of the bark is used as a counterirritant on the gums for toothache. · The latex mixed with coconut oil is used for itching. · The juice is rubefacient in rheumatic pains, and with camphor, is also used for itching. · A poultice of heated leaves is beneficial for swellings. · Decoction of leaves for cracks and eruptions of the soles of the feet. · Infusion or extract from leaves is used for asthma. Leaves also used as cigarettes to inhale in asthma. · In Puerto Rico, in emulsion, the milk produces abundant, bilious, watery stools. · In Mexico, decoction of flowers used in diabetes. • Cytotoxic / Antibacterial / Molluscicidal: From the heartwood, study yielded plumericin and isoplumericin which molluscicidal, cytotoxic and antibacterial activity. In some regions, it is not planted in the immediate vicinity of habitation, believed to cause difficulties with personal relationships and separations. Screening for Anti-Microbial Activity and Phytochemical Constituents of Some Nigerian Medicinal Plants / Advances in Biological Research 1 (5-6): 155-158, 2007. Antimutagens from Plumeria acuminata Ait. / Guevara AP, Amor E, Russell G. / Mutat Res. 1996 Dec 12;361(2-3):67-72. 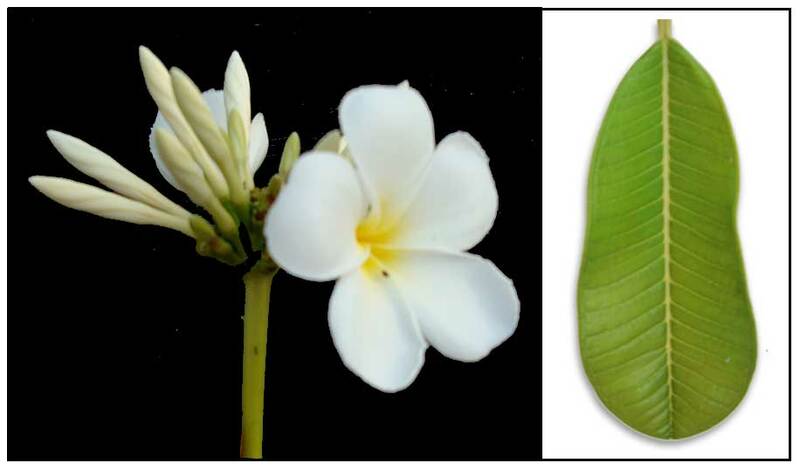 Mechanism of action of antimutagens from Plumeria acuminata Ait. / Guevarra, A.P., Cancio, E.O., Manatad, A.G. / AGRIS (International Information System for the Agricultural Science and Technology).